Freeletics, a self-financed sports-and-lifestyle company founded by Andrej Matijczak, Joshua Cornelius and Mehmet Yilmaz in 2013, is now one of the world’s popular fitness app. 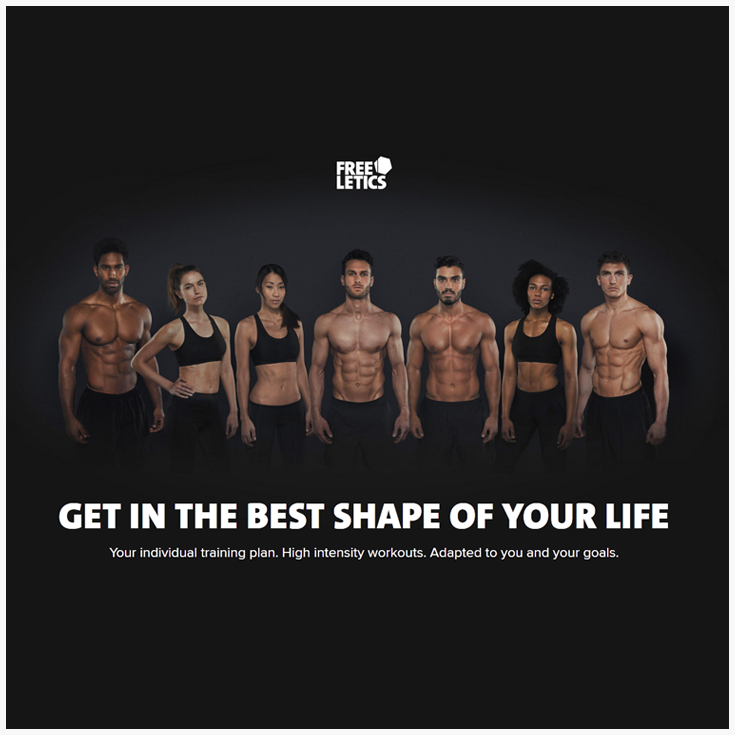 Whether you are looking for heavy workout schedules, weight-reduction tips, interval training (HIIT) with an option to build strength, or, focus on cardiovascular endurance- the experts at Freeletics offers the best of best physical and mental training plans and advice with multiple options. Being successful in helping people to become a stronger version of them (physically and mentally) with their fitness app, Freeletics also powers an online shopping portal offering a range of fitness products. We took some time off to sit with Stefan Lettner, who apart from handling business development activities at Freeletics Wear also manages some core back-end operations. “We don’t want to restrict our offerings to a specific region. From the start, our plan was to diversify our brand and sell our products internationally. Shopify allowed us to have multiple storefronts, where each storefront is tweaked according to a specific language & currency. However, there are certain challenges with managing multiple storefronts. Thriving to empower people to shape their life and help them build confidence, fitness, and willpower- the company started getting better response for their online store, too. The increasing number of sales orders made it difficult for the company to track inventory in real-time. “Running multiple storefronts specific to the country was certainly helping us boost our sales, however, with this, we also had to manage orders out of each site separately, which created complication with fulfillment and returns processing. Adding to the woes, we were selling products on all the web stores, so on any purchase we had to update inventory and return items to all the sites accordingly. Managing stock requirements was a major challenge- consuming them more of time and costs. Freeletics needed a centralized system that would allow integration with Shopify and ease export of data. “Selling products across multiple geographies certainly increased our logistic workflow complexities. We wanted to focus our attention on our core services rather bumming around with the logistic operations. This was the reason we decided to use the service of PFIFF, a German-based 3PL company who drop ship the products to customers on our behalf. Apart from this, we had certain unique processes like custom invoice specific to the country which can only be automated by a software which can implement extended functionalities. Orderhive filters and exports all the sales orders imported from the Shopify stores and send them automatically to their third party logistic company (PFIFF Logistics) for fulfillment. Orderhive synced PFIFF with Freeletics Shopify store via FTP integration. The entire process between receiving the order to fulfillment was automated by Orderhive Enterprise, allowing them to have a real-time data exchange and complete the fulfillment process in a few clicks. Orderhive automated Freeletics inventory & Order management workflow and gave them a centralized system to manage inventory and fulfill orders. Keeping fulfillment, customer service and drop shipping process consistent across their multiple Shopify sites. Once a product is returned by the customer, the 3PL system notifies Orderhive about the returned order with specific customer details. Then, Orderhive immediately updates the stock level across the Shopify channels to maintain the correct level of stock. Multi-user functionality enabled Freeletics to allow user specific access to employees belonging to the warehouse, fulfillment and administrative department. “We collaborated with Orderhive in 2015, it easily integrated with our Shopify stores and brought inventory & orders management capabilities in a single consolidated platform. Orderhive also simplified our logistic operations, making it easy for us to connect with third party logistic providers and enabled us to manage & track shipments from a single dashboard. It was great to work with Orderhive as they have the expertise to tailor processes and implement a custom solution as per our requirements. Ready to streamline and automate your inventory management? Get started with your 15-day risk-free trial today. Simple setup. No credit card required. Free for first 100 users only ! No Credit Card Required. New Orderhive now in action! Power up your business with all-in-one solution for order, shipping & inventory management. Start a free 15 day trial Free for first 100 users only ! No Credit Card Required.